It was brought to my attention that not everyone is familiar with Norse mythology. In fact, some people have a hard time telling Thor apart from Zeus. Since my last story was steeped in the lore that surrounds Odin, I thought that I should tell a little bit about the mythology that inspired the piece. I am in no way a scholar. In fact, I didn't grow up reading about Norse mythology. I grew up reading about Greco-Roman mythology. I'm much more comfortable writing a story about Janus, or Daedalus, or Prometheus than I am about the Norns, Baldr, or Gungnir. However, I like to do my research. I'm reading up on my norse mythology, and I've been developing a longer story that uses it heavily. So, there are likely to be mistakes in what I will say, but if you are truly interested, you should check it out at the sources, such as The Prose Edda. So, here is a brief history of the Norse so that you might understand my story a little better. The Norse gods are usually referred to as AEsir and look very much like we do. Alongside the AEsir, there are the Jotun, a race of giants (very much like the Titans of Greco-Roman myth). 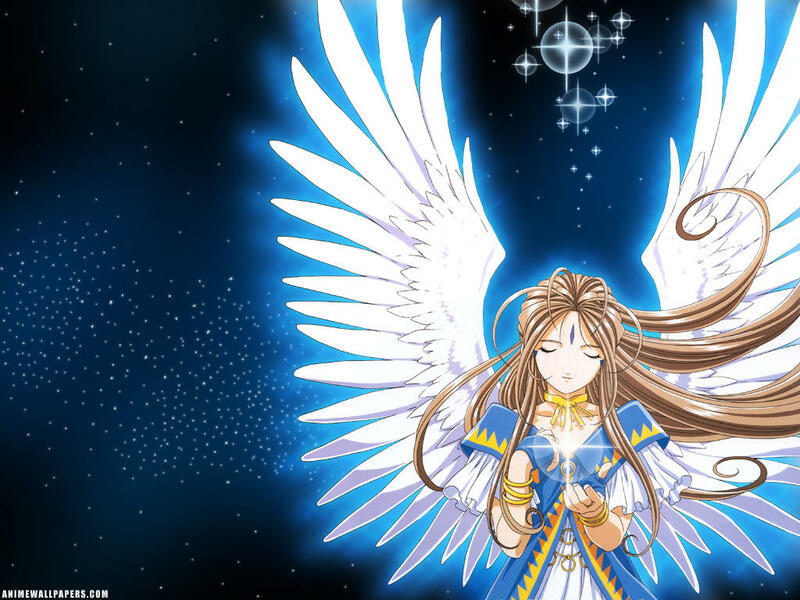 There are other beings, like the disir (ghosts and spirits of fate), valkyrie (women who determine who dies in battle and which of those go to Valhalla, a form of Heaven), and the einherjar (the souls chosen to live in Valhalla). The Norse have devised 9 worlds. I do not know them all, however Asgard is the land of the AEsir, Midgard is Earth, the Jotun live in Jotunheim, and the souls that do not go to Valhalla dwell in Helheim. 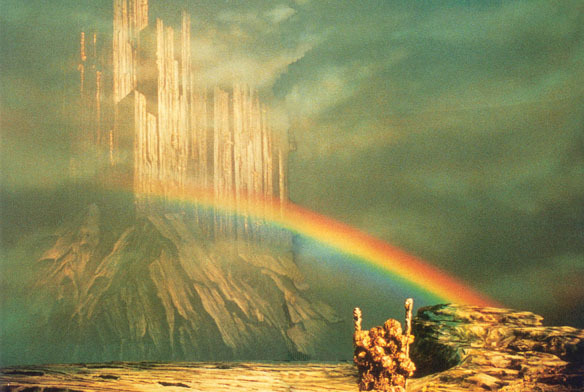 The Rainbow Bridge, or Bifrost, connects Asgard and Midgard. the World Tree, Yggdrasil, connects all the worlds. At the base of the tree, the three Norns, or Fates, live. They're pretty much the same as the Roman, Greek, and Shakespearean Fates. They keep the tree healthy and are named Urdr, Verdandi, and Skuld. (Any fans of Ah! My Goddess might recognize those names). The AEsir are ruled by Odin, a one-eyed, bearded old man. 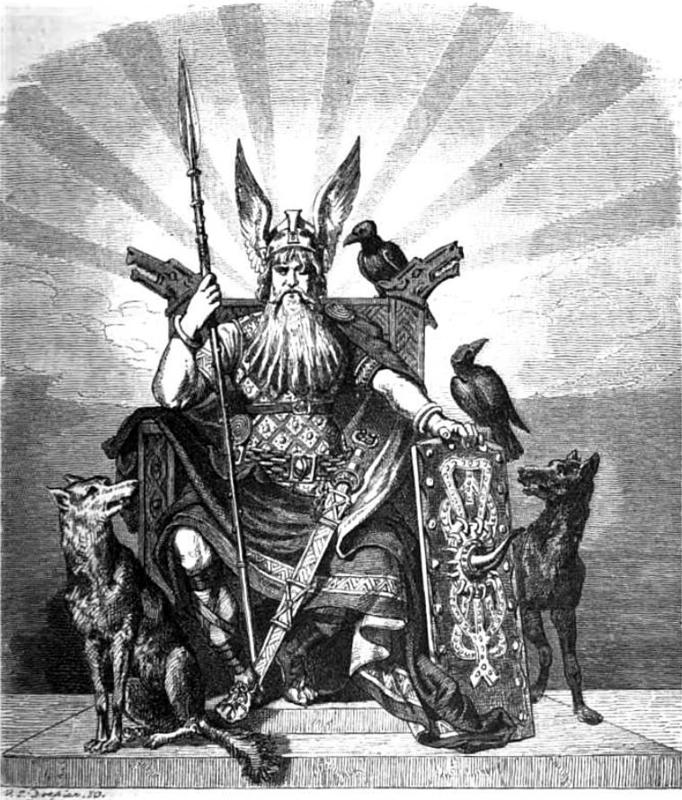 Odin is usually accompanied by 2 wolves, 2 ravens (Hugin and Munin who represent Odin's thought and memory), an 8-legged horse named Sleipnir, and his spear Gungnir (which never misses its target). Every day, he sends out Hugin and Munin to Midgard, to be his eyes and ears to the world (which is helpful, since he's only got one eye), and they report back to him at night. 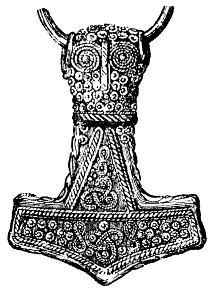 Odin's son is Thor, who wields the hammer Mjolnir (associated with thunder, could level mountains). He also adopted Loki, who is a Jotun and a troublemaker. Loki tends to alternate between being nice and helpful to the AEsir and being a pain. Loki is also a shapeshifter, father of Fenrir (a giant wolf), father to Jormungandr (The Midgard Serpent who can wrap the world in its coils), and mother to Sleipnir. 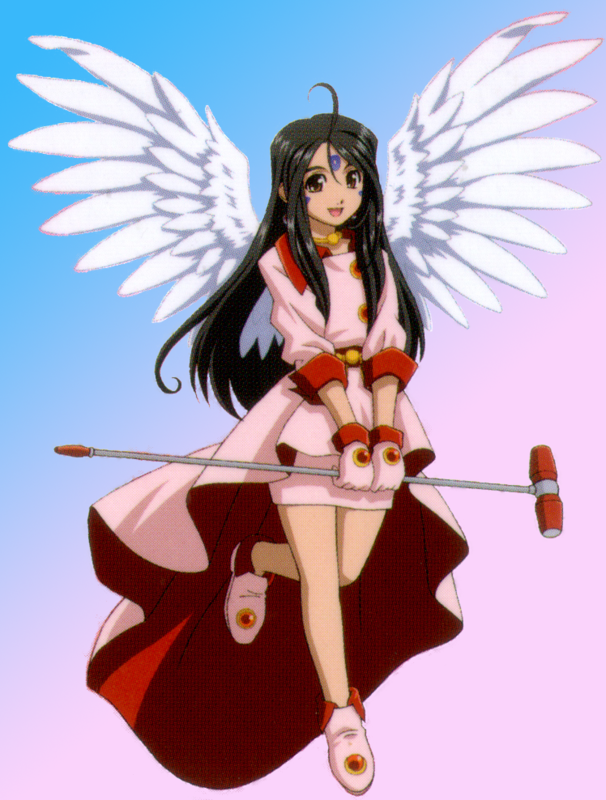 The end of the world will happen at a place called Ragnarok. Essentially, Loki insulted the AEsir (by getting one of them killed), so his sons were imprisoned or killed and he was tied, by one of his son's entrails, to a rock in a mountain where a serpent pours poison on him day and night. Loki's wife, Sigyn, tries to keep the poison off of him, but when she fails Loki causes earthquakes. After a while, it is prophesied that he will escape, free his kin, and declare war on Asgard. The nice thing about the Norse is that we already know who will kill whom. So, this was a brief crash course into Norse Mythology. I hope you enjoyed it! If you follow Marvel comics, you are likely familiar with many of the characters and situations. I'm always surprised at how much they include and how detailed they are (I'm not saying they're completely accurate, but they are far more accurate than I would have thought for a comic book). 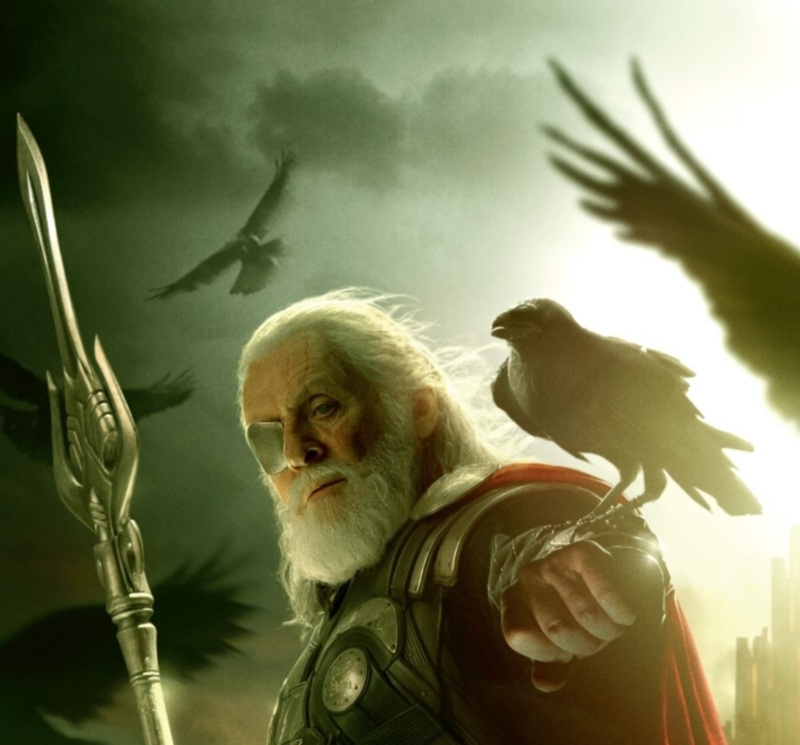 Indeed, if you watch The Avengers (now on Blu-Ray), watch Odin closely (as played by Anthony Hopkins). Sharp-eyed observers may just spy Hugin and Munin. I'm trying to read The Prose Edda and The Poetic Edda because they are one of the many inspiration sources for Tolkien's Middle-earth stories and myths but I'm a serial book starter and slow to finish any of them. Also, as a kid, I was very into the Greek and Roman mythologies and between Thor/Thor 2, Tolkien, Immortals, and trying to write my own mythology for a novel, my interest has been piqued again, so I'm interested to see the piece you're working on that involves the Norse mythologies. However, my biggest take away from this post is that Loki is the mother of Odin's 8-legged horse. I had to read that two or three times to make sure I read it and understood it correctly. Loki is the mother of Odin's 8-legged horse. That's got to put Zeus' shapeshifting sexual adventures to shame. I wonder if that tidbit of character development can be included in Thor 3 (or Avengers 2, whichever comes first), lol. I am interested in the Prose Edda and Poetic Edda as well. I did find a graphic novel of the stories called "Gods of Asgard" by Erik Evensen. It seems to do a decent job of telling most of the stories, but I'm sure it leaves plenty of them out as well. I was wrong about Loki, though. He is not Thor's adopted brother, he is Odin's blood-brother. The story I have in mind is one that needs an artist. I'm looking for one. It is meant to be a webcomic. 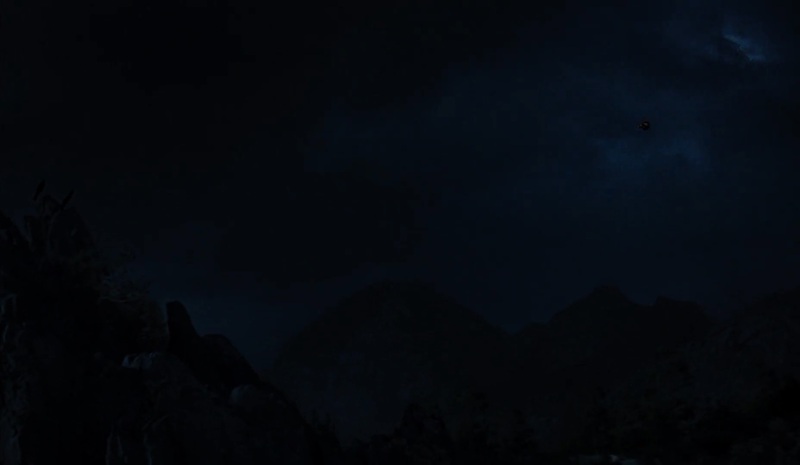 It involves the time between Loki's escape from the mountain and the beginning of Ragnarok. 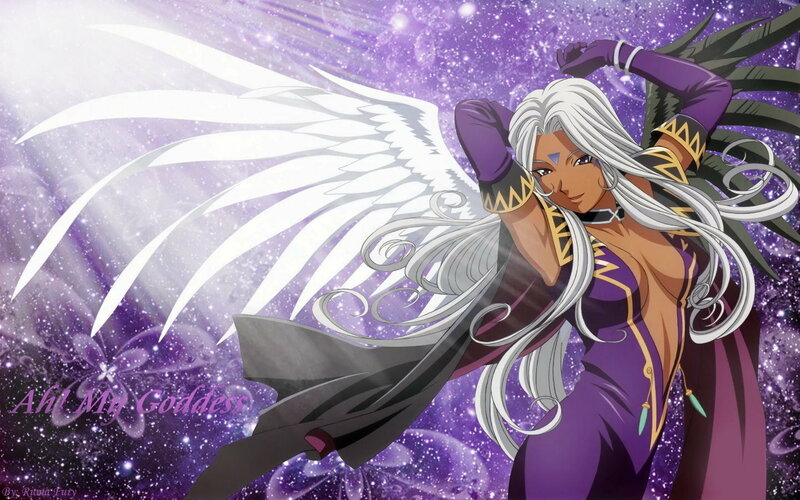 I don't believe this time period is at all covered in the mythology, since Ragnarok is a prediction of the future. It is a work in progress as I am still trying to figure out just how I want it to end and how far things are going to go. We could brainstorm via email or Facebook if you're interested.